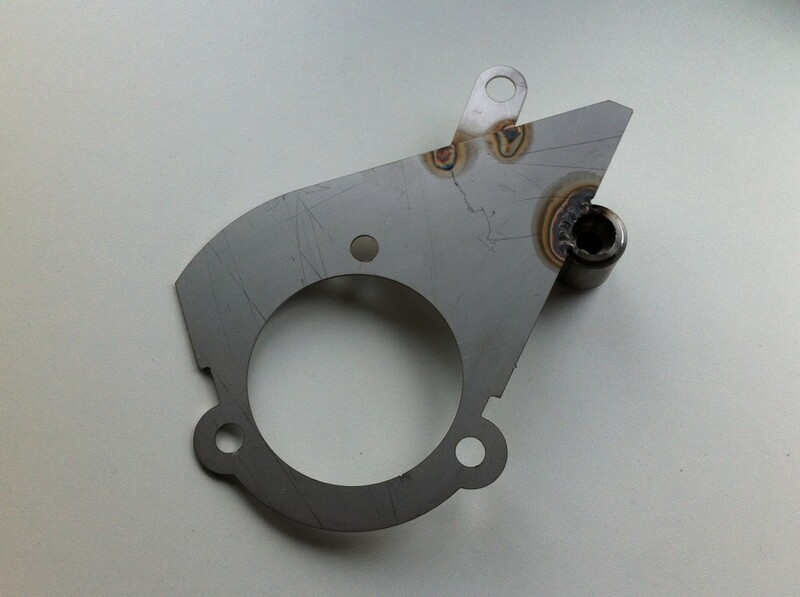 This is a reproduction part for the lower timing belt cover as fitted to the 1.6 or 1.9 engine up to 1991, engine fitted with the early type spring loaded sliding cambelt tensioner. The standard plastic item often distorts slightly over the years. This causes it to then rub on either the lower main crank pulley, or the timing belt itself. When this happens the standard plastic cover wears badly and is often worn to ragged pieces upon removal. No longer available from the UK main dealers, so we have made a replacement in stainless steel. Supplied with an M8 stainless cap screw and shake-proof washer this cover is a direct replacement for the standard item and correctly picks up on all 4 mounting bolts. This cover is £50 posted in the UK.